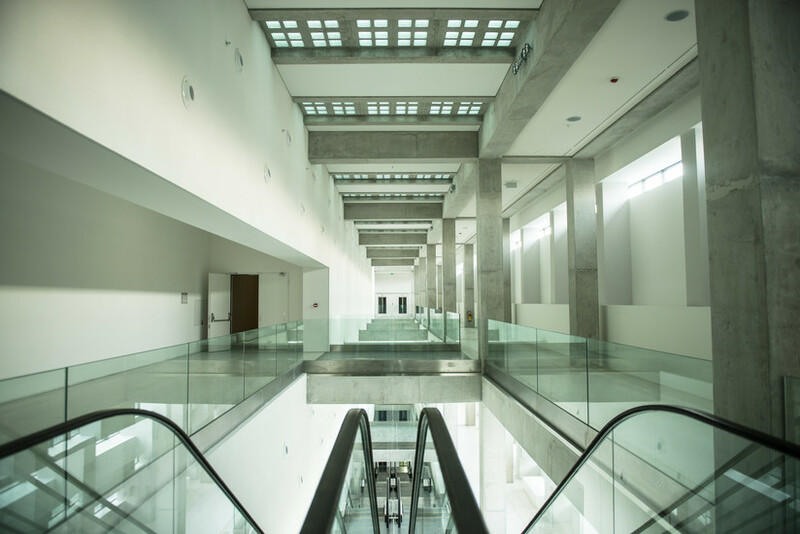 The EMST is located in a fine, modernist building from the 1950s which for almost 40 years was a brewery producing Fix beer. 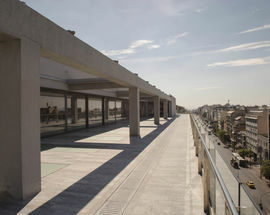 After Fix moved out in 1982 the building fell into disrepair before being appropriated by the state in anticipation of construction of the Athens metro: half of the building was knocked down to make way for Syngrou/Fix station. 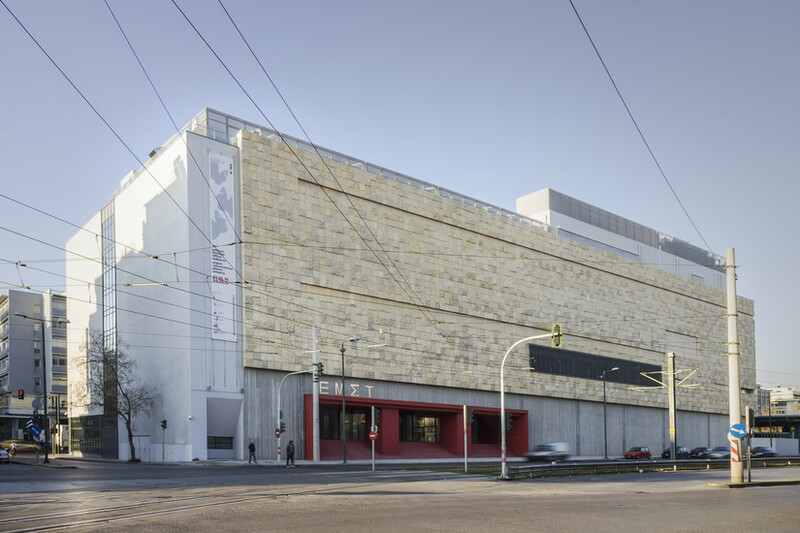 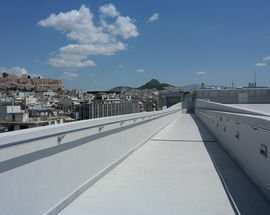 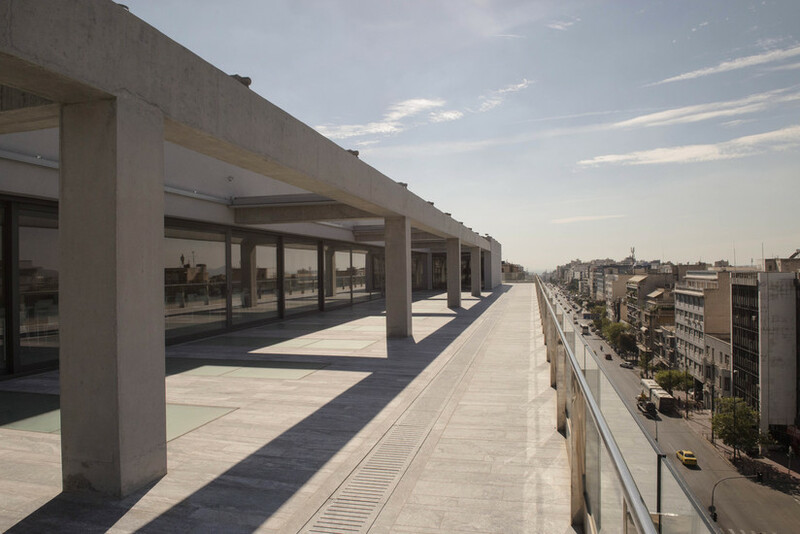 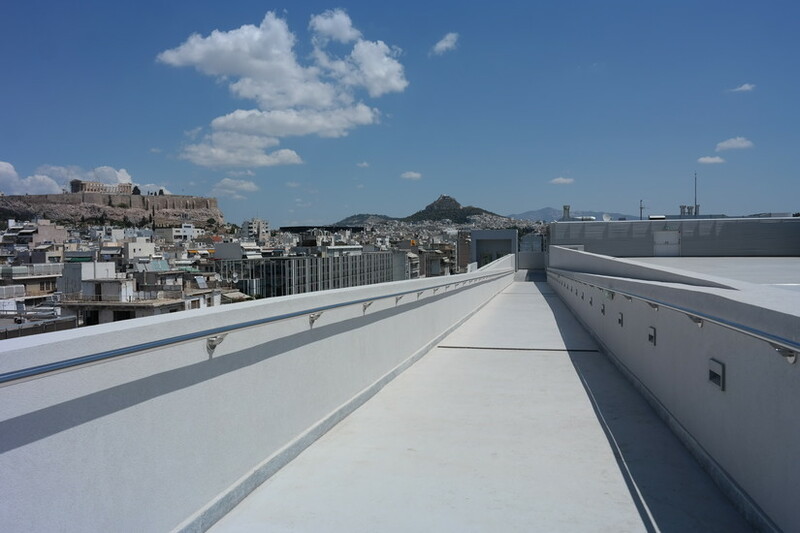 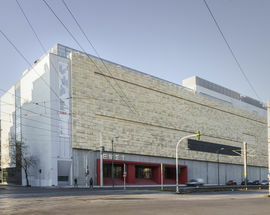 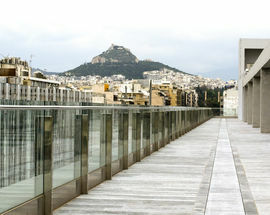 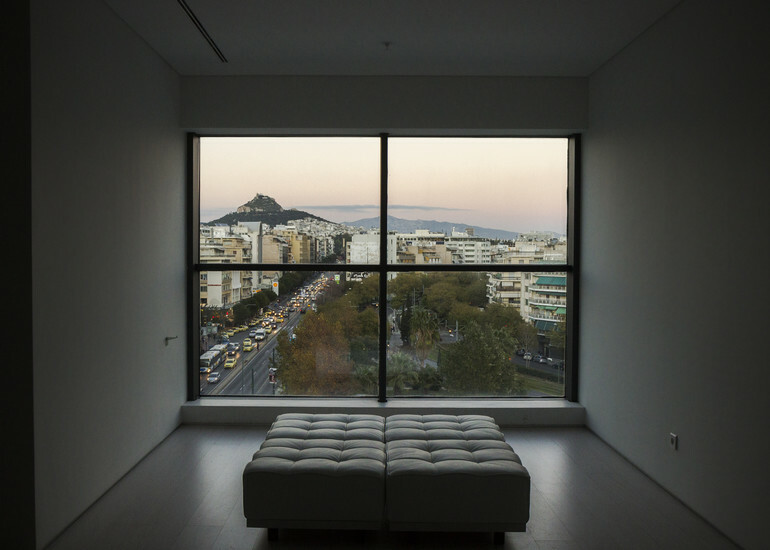 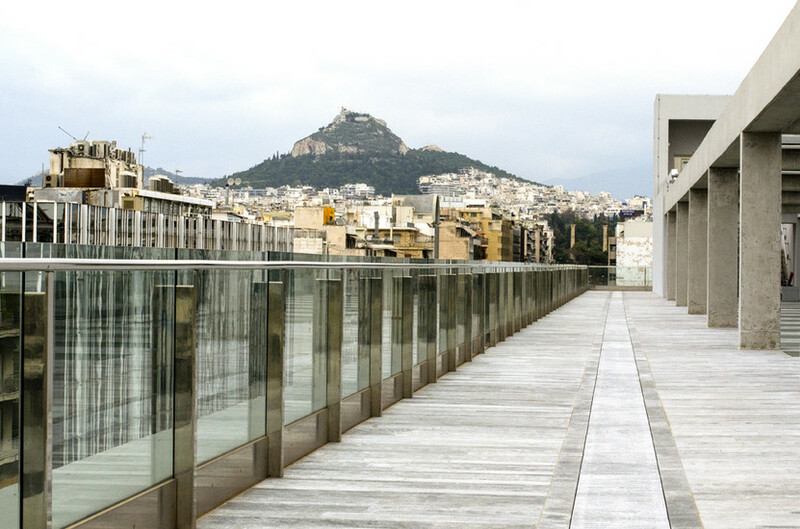 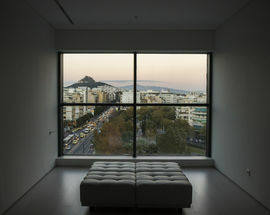 In 2000 the remaining part of the building was given to the nascent Greek Museum of Contemporary Art on a long-term lease. 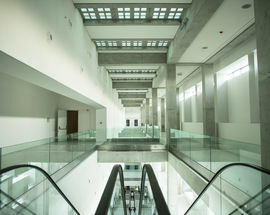 After years of delays the museum finally opened in 2016. 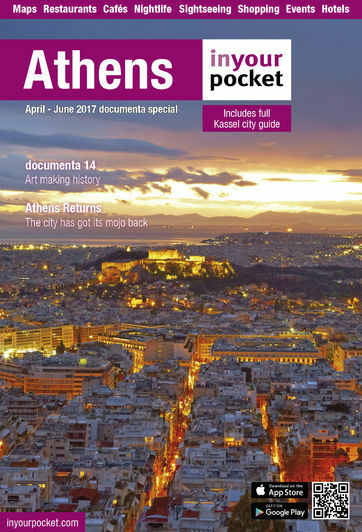 Throughout the spring and early summer of 2017 it will be the main location of the documenta 14 contemporary art festival.